Home > Google News > Google SEO > BBB Accreditation A Solid Local SEO Signal? 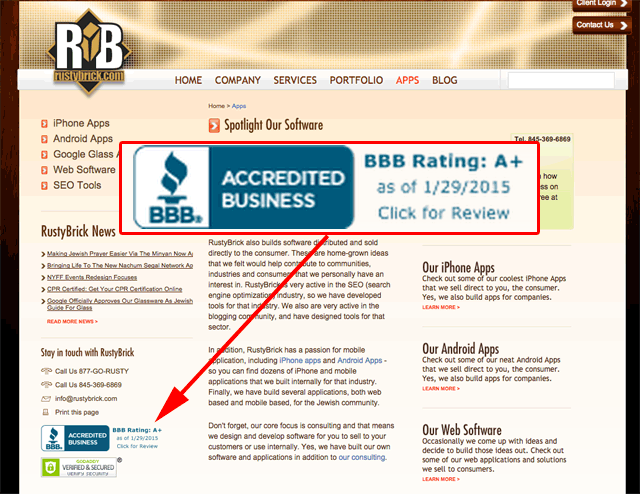 BBB Accreditation A Solid Local SEO Signal? The folks at the Local Search Forum are discussing an article named BBB Accreditation: Boring But Bumps Your Local SEO. They tend to all agree that having a BBB accreditation is a no brainer for local SEO purposes. It is a good link in general to have, plus it is a solid citation for Google Local's algorithm. Of course, it is hard to prove but BBB, even though you need to pay for it, it is a solid organization that people go to when they have problems with local businesses. I have paid for it for years for my company and I place it on my side bar on the inner pages because it is a trust building logo that people in the US recognize and mostly respect. Honestly, I never thought if it has any ranking factor - I just did it because of the trust. Do you think it helps with local SEO ranking?